2. Cut thin strips of dough and wrap around the hot dog. 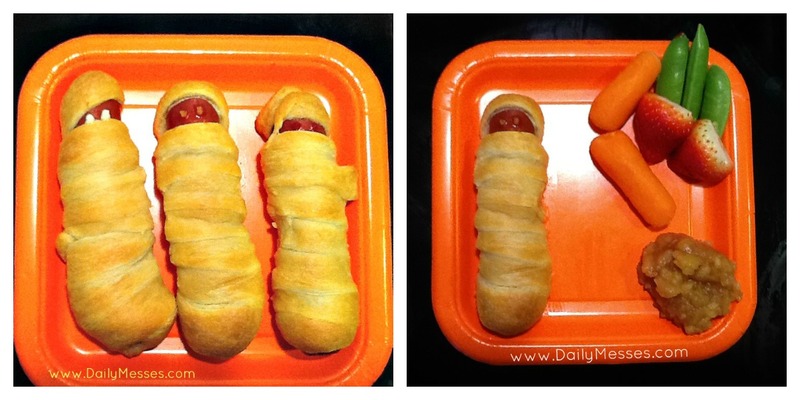 At the top of the hot dog, leave about 1/2 inch open for the face. 3. Place on a baking sheet and bake until golden brown (about 15 minutes). 4. Let cool for a few minutes. 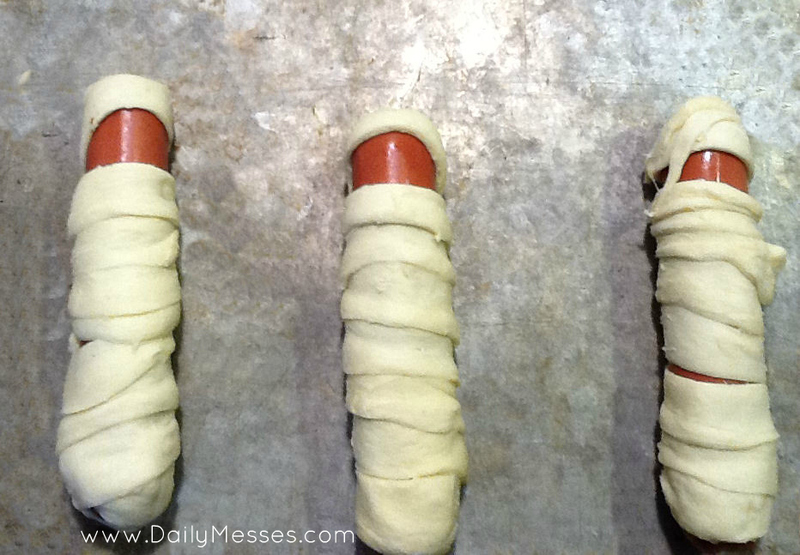 Right before serving, add dots of mustard or ketchup for eyes.